Root canal treatment is an endodontic procedure that targets inflamed, damaged or dead dental pulp inside the tooth and surrounding tissue near the tip of the root. Root canal treatment may be required if there has been trauma to the teeth, which can damage the dental pulp and lead to infection. A latex rubber sheet called “rubber dam” is placed around the tooth being treated to prevent bacteria from entering your mouth. This will also protect your healthy teeth and surrounding tissues from the disinfectants and instruments we use during the procedure. Most people who have experienced the use of a “rubber dam” will attest to its comfort and prefer it over the old-fashioned way of cotton wool and suction. Using an operating microscope, a small access opening is carefully made in the top or back of the tooth to enable the endodontist to gently remove the infected pulp using specially designed endodontic instruments. Once the pulp is removed, the canals are cleaned, reshaped and disinfected ready for the filling. This is exactly the same way a cavity is cleaned and shaped on the top of the tooth and the same principle applies, just deeper within the root. The next step is to fill the root canals with a biocompatible material, usually a tiny cone-shaped rubber-like material called “gutta-percha”. 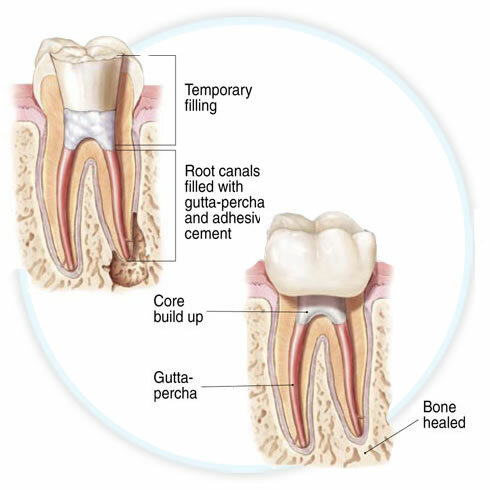 Gutta-percha is placed to ensure the root canals are completely sealed to prevent re-infection. Alternative biocompatible materials such as “MTA” or Mineral Trioxide Aggregate may also be used depending on the requirements of the case. 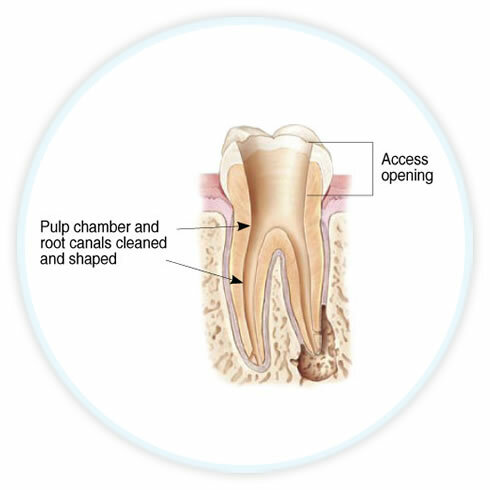 A temporary filling is placed into the access opening at the end of each appointment unless a permanent filling is chosen to be placed at the final visit. The final stage often involves a more permanent restoration (e.g. crown). This will usually be determined by your endodontist and general dentist depending on the requirements of the tooth. After your tooth has been successfully treated, it is important you promptly schedule an appointment with your dentist so any temporary filling can be replaced with a permanent restoration (filling) or for the construction of a crown or other restoration such an inlay, onlay or veneer. A crown will replace the missing structure and support the remaining tooth. It will also prevent future cracks. If you only have a small amount of tooth missing, a conventional filling may be all that is required to get your tooth functioning and looking the same again. If the tooth lacks sufficient structure to hold the restoration in place, your dentist or endodontist may place a post inside the root/tooth for further support. Signs that you might require root canal treatment include sensitivity to hot or cold, tenderness when biting or touching the tooth, discolouration of the tooth or swelling and tenderness in the adjacent gums. All of these symptoms may be an indication of infected tooth pulp. If you experience any of these, it’s important you promptly seek endodontic treatment. Contact our team today to book your appointment. 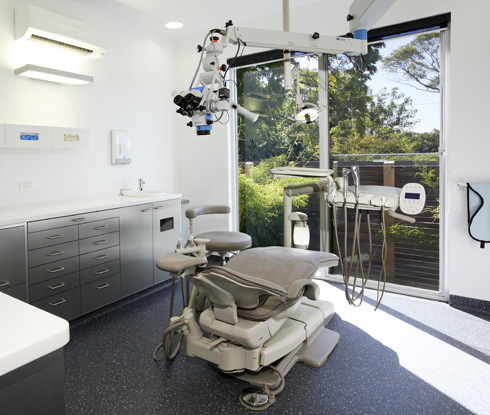 Initial consultations at Malvern Endodontics are $190. The cost of your root canal procedure will depend on your individual circumstances. To request more information on procedure costs, please contact reception, and one of our friendly team members will be able to provide you with more information.